When I was first introduced to Hilton Park Bowling Club six years ago, I wondered how I had never heard of this little gem before. It's so much more than just a bowling club, it has a great social program and is one of the friendliest venues around. Every Friday night there's live music from a great selection of professional musicians. 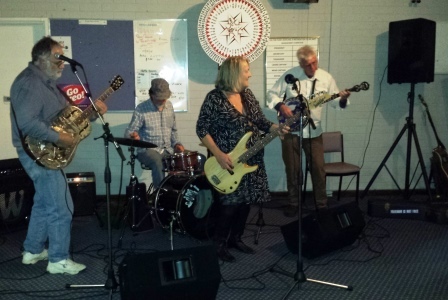 For example, the Ten Cent Shooters are playing on Friday 23 October and Diamond Dave and the Doodaddies will be gracing the stage on Friday 30 October. One of the regular bands who play at the Club is Pete Stone and the Hiltones. 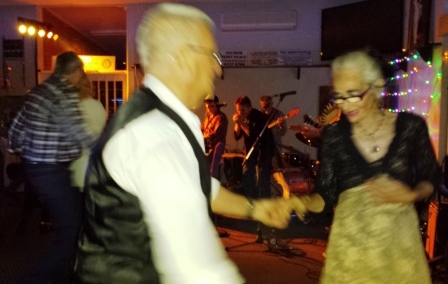 This band, which grew out of regular gigs at the Hilton Park Bowling Club, play a range of music from bluegrass, country blues, rockabilly and rock and roll. Food is available on Friday nights, when Big Kev serves roast dinners from his bain marie – for vegetarians the roast veggies and cheesy potatoes fills the spot. And his daughter-in-law who helps him sings like an angel and often joins the Hiltones on stage. Entry to the Club is free, and you don't have to be a member to try it. However, the committee encourages people to become social members after a couple of visits. Social membership is only $25 a year and gives you access to all the social events, and in the process you're supporting the Club. Besides the great music, benefits include cheap drinks, free parking, and a very friendly atmosphere. Children are also welcome to come along but have to be supervised. Besides the Friday night music sessions, there are other social events at the Club – check their Facebook page to see what's happening. One Sunday a month there is a Sunday Social Music Session from 5pm to 8pm. This is for anyone who wants to get up and have a go, but performance spots need to be pre-booked by calling Scott on 0429 911 471. There are eight or nine acts, each with a 20 minute slot but book early as places fill fast. 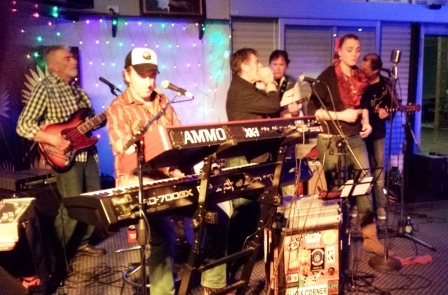 A PA, mixer and microphones are provided – you just need to bring your instrument. The next session is on 1st November. On Saturday nights the hall is available for hire for private functions. For example, on Saturday 28 November the club is hosting a Bollywood Extravaganza fundraiser for an Indian organisation. The Club is also the venue for several dancing classes. Thursday night is rock and roll with classes by Megarock Dance School. Beginners start at 7.30pm and intermediate classes at 8.35pm. The cost is $15 per class and you don't need to bring a partner. Many students put what they have learnt into practise on Friday nights by dancing to the bands. To find out when the next six-week course is starting call Megan on 0421 457 588. The Shirley Bickley School of Dancing also runs classes in ballroom, Latin and New Vogue. Classes for adults and seniors are on Tuesday nights from 8pm to 10pm and children and junior classes are on Fridays from 4pm to 6pm. For more information call Shirley on 9337 3452. Of course, bowls are also offered and the Club is always looking for new members to play pennants games. Women's games are held on Tuesdays and Saturdays and men's games on Thursdays and Saturdays. Community bowls start on the second Wednesday in November at 6.30pm. This is open to anyone who wants to form a team and play friendly games against other Club goers. The cost is $10 per player, which includes a sausage sizzle. For those that just want to have a roll, the greens are available on Friday afternoons before the music starts for just a $5 green fee, which includes bowls and mats. 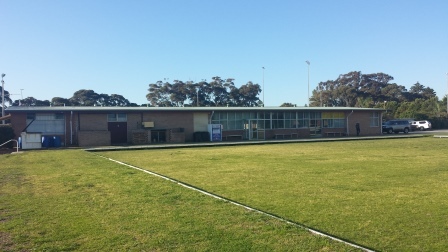 As Dorraine Stone, the secretary of the Club, says, "We're all about community, live music and bowls in the historical Fremantle area." So, if you're looking for great music, good old-fashioned hospitality and value for money get along to Hilton Park Bowling Club on a Friday night.